You may be forgiven for thinking that you have stepped back in time. The great domes, pillars and bridges over the many water features at The Kingdom Hotel resemble the style of ‘Great Zimbabwe’, the once mighty capital of the ancient Shona Kingdom. It may look like the city of a lost civilization but the Kingdom Hotel is one of Victoria Falls’ best known hotels. Expect all the comforts of a modern resort geared up in every way for your maximum comfort and enjoyment. The hotel is centrally located within the small resort town of Victoria Falls, Zimbabwe, close to all the major attractions including the entrance to the Victoria Falls rain forest which is a short walk away. The Zambezi Cycle Challenge is using The Kingdom as the cycle village for the event for the first time due to its central location and great pool side venue for the participants to interact and get to know each other. Riders and any supporters whom are not staying at The Kingdom Hotel, will still be welcome to the venue and meals will be available at their own expense. We urge the participants to take up the discounted packages offered for the event and enjoy the atmosphere and company of the other cyclists. The mechanical back up team, will also be situated at the Kingdom Hotel and will be there to assist with any mechanical hiccups the riders may experience. They will only be charging for parts and consumables used. Please note that this team will not be offering bike washing as part of their service nor will they be doing routine servicing of bikes – they will be there to assist with serious mechanical faults only. Please bear in mind that there will be a limited stock of spares and the team will do the best they can with what is available. There will be bike washers on hand, but please tip them as you see fit. pre booked packages, you and your bikes will be met at the Victoria Falls airport and transferred to your hotels. The registration desk will be open at The Kingdom Hotel foyer from 12.00hrs to 16.00hrs and then move to the Vic Falls Boat Club for late comers. 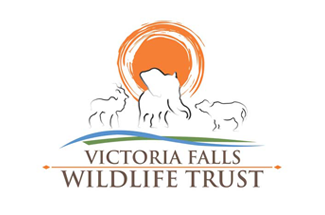 The welcome, safety and race briefing will be done at the Victoria Falls Boat Club at 18.00hrs. It is compulsory for all participants to attend this briefing. Dinner will be provided after the briefing at the Boat Club and drinks will be available at your own expense. Buses will be on hand to shuttle riders to and from the Kingdom Hotel at the end of the evening. Most importantly for those who do not have their own transport to the start, please ensure that your bikes are numbered and have been delivered to the Kingdom Hotel before 16.00. Please place them on the bike racks available to you, so that they are loaded on the trucks that will deliver them to the starting point the following morning. Bikes will be loaded the night before and entrants will depart the hotel at 6 am. The road transfer will take approximately 40 minutes along the Bulawayo Road. We aim to start the Days ride at 7.15am. The 80 km route starts on a gravel road and after 2-3 kms will enter a single track for approximately 10 kms. Thereafter you will cross the Matetsi river and be on a double track for about 20 kms or so. You will then be on single track again and double track through wildlife areas and community reserves until you get to the finish at The Kingdom Hotel. Enjoy the natural surroundings and keep a respectable distance should you came across any wildlife. Braai and drinks will be available at the finish at own expense. Meet at 18.00pm for Day 2 briefing followed by dinner. For the Kingdom Hotel residents dinner is included and for non residents welcome at own expense. Make sure your bikes are delivered to the Kingdom Hotel by 16.00hrs for loading if you do not have your own transport to get to the starting point for Day 2. Your Bikes will be transported to the starting point which will be about 35kms from Vic Falls on the Kazungula Road. Riders will depart from Kingdom Hotel at 6.00 and the race will start once the safety marshals have given their Ok. The buses will leave the Kingdom Hotel at 6 am and transfer you to today’s start, approximately 30kms downstream from the Victoria Falls themselves. It’s just about all single track and the most technically challenging day of the event. The start has a 3 km stretch on gravel before entering a gentle single track through the rural villages. You will then enter the Wild Horizons National Park concession and enjoy a single track that has been referred to as one of the best single track routes they have ever ridden! Interspersed regularly along this route are (some) breath taking views of the Zambezi river way below. As you approach the end of the ride, you will be greeted by the thunder and spray of the Victoria Falls before the final stretch to the Kingdom Hotel.